The following sample of possible do-it-yourself activities represent an attempt to boost the awareness of pitch accent among learners by following the principles outlined in this paper. They range from simple activities where the instructor merely points out pitch accent to learners to more difficult activities that retool common language activities where the focus is placed on pitch accent (i.e., embedded) or create pronunciation activities to supplement lessons. The also try to progress from a focus on form to focus on function (i.e., communicative) and an emphasis on different modes and aspects of the 5Ps. Schaefer, V., & Darcy, I. (2015). A communicative approach and dialect exposure enhance pitch accent awareness by learners of Japanese (Teaching Tip). In J. Levis, R. Mohamed, M. Qian & Z. Zhou (Eds.). Proceedings of the 6th Pronunciation in Second Language Learning and Teaching Conference (ISSN 2380-9566), Santa Barbara, CA (pp. 285-296). Ames, IA: Iowa State University. 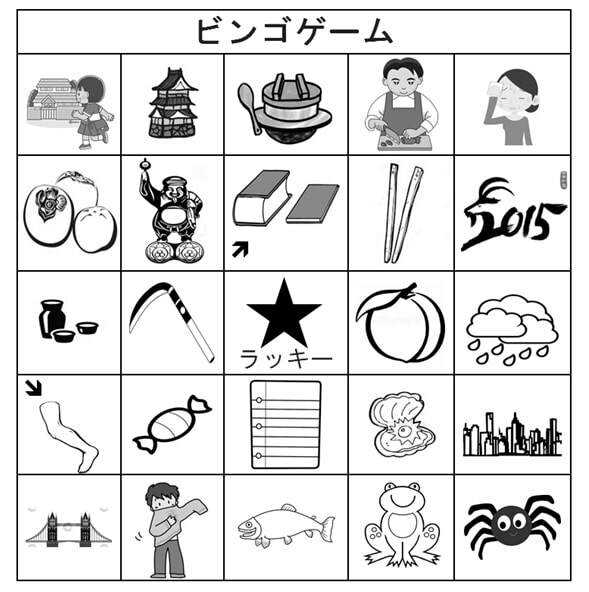 The instructor creates bingo boards with minimal pairs differing in pitch accent (e.g., hashi, LH and HL) and plays bingo as an entire class or in small groups. Minimal pairs varying by vowel/consonant length can be added as well. The illustration below shows an example of a bingo card using both or just one member of the minimal pairs and fillers (e.g., spider). The instructor uses the te-form of verbs (e.g., –te kudasai 'please do x') to instruct students to do something, using pitch-accent minimal pairs as in ‘Please draw/write rain’ (on the board/paper), ‘Please touch rain’ (a picture on the board/wall/handout), etc. After the instructor models TPR, the students then practice amongst themselves with the instructor monitoring. Also: katakana, long vowels/consonants, ordering food, making a commercial, role-play, polite language, pragmatics, numbers/money, etc. Loanwords are ideal for working on pitch accent as they are ‘known words’ (i.e., low cognitive load). Instructors can quickly tell the students the pattern for pitch accent placement or have students listen and guess the pattern. 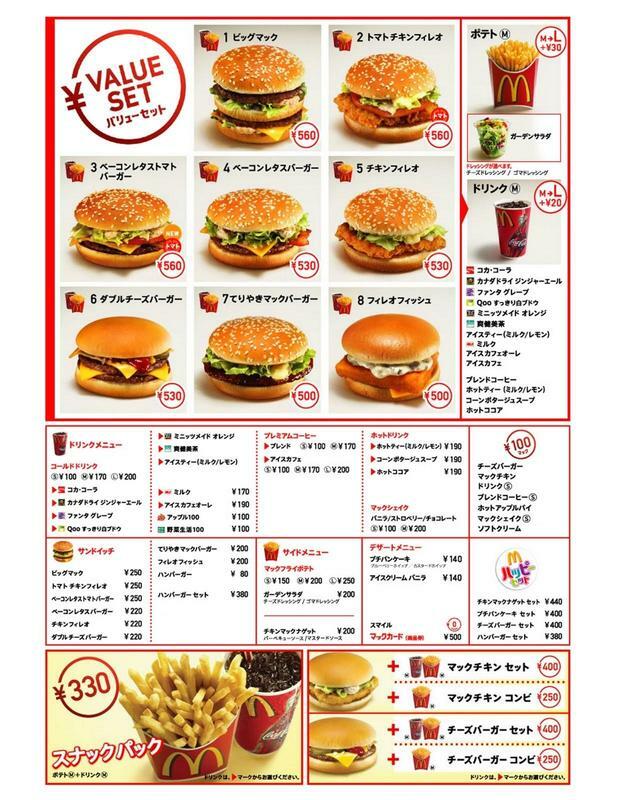 Practice can be embedded into lessons on ordering fast food (–o kudasai 'please give me x') or practically any grammar point, e.g., McDonald’s shakes are more delicious than Burger King’s shakes (comparatives). Students could also make a commercial advertising products. The instructor prepares objects, picture cards or handouts with pictures. The instructor models the activity having the students ask yes/no questions such as ‘Is it rain?’ (pitch accent minimal pairs) or ‘Is it a red car?’ (adjective + noun), to guess what the instructor is thinking of. Afterwards, the students divide into smaller groups with one student imagining the object/picture and the others guessing. Also, the instructor could write a word/draw a picture on a piece of paper and attach a different one to each student’s forehead and have them mingle and ask each other questions about what is written on their forehead. Activity: making traveling plans, shopping for items, etc. The instructor prepares phrases or short dialogs or adapts them from textbooks. The instructor divides the students into the agent/store clerk and clients/customers. The instructor prepares materials such as maps, agendas, etc. of places to visit (countries, cities, sites for foreign countries, i.e., loanwords) or lists, photos, etc. of items (food, products). The students decide which places or items to sell or buy. This could be done in a roleplay as well once phrases have been mastered. Activity: Learning common sayings, e.g., verbal –nu (ぬ), -zu (ず) ending. The instructor prepares the set of cards with these common sayings in Japanese, e.g., 貧乏暇 なし, 知らぬ が 仏, ちりも積もれば山となる, etc. When learners hear the card, they slap the card with the card showing the saying with the first hiragana of the saying enlarged. This game is meant to help native Japanese speaking children to learn both hiragana and common sayings while having fun. This game could be played for lower levels to listen and recognize hiragana. In upper levels the teacher could teach the meaning and grammar of the sayings while facilitating the learning of the pronunciation in phrases through repeated exposure and have the students play in small groups. The teacher could then have one student read the sayings in the group while the others listen and slap the corresponding card. Students listen to a talk or excerpt (e.g., TEDxTokyo). The instructor has students mark a transcript for thought groups (where they should pause), fall in pitch, pitch patterns, etc. The students shadow along with the video, soundfile or instructor. Students also orally present the talk using the transcript or an outline of the talk. Students record themselves and self-evaluate their recording and/or receive feedback from the instructor. Students should make 1-2 minute recordings in response to a prompt. The prompt should include some sort of pronunciation issue to allow practice of that issue. For example, a question might ask “Which do you prefer to eat: oysters or persimmons?” or “Do you think 18 year olds should be allowed to drink ‘sake’” or “What do you usually eat vs What did you eat last weekend?” Students can record on their phone, computer, computer in the language lab, etc. and upload it to the course website. Additionally, students practice fluency and use of target grammar and/or vocabulary etc. Focus could naturally be moved from being on pronunciation to being on fluency, grammar, vocabulary. Again, the instructor should experiment with implementation and assess the results on the target issue. Learners should also evaluate their recordings to determine if their assessment reflects that of the instructor (i.e., self-evaluation). Instructors have students listen to sample sentences, dialogs or talks, using websites, TV shows, or movies, and make comparisons with standard Japanese. Some useful websites for the Kansai dialect include: http://www.kansaiben.com/ and http://www.eastudies.org/guide_kansaiben.html and for folktales: http://minwa.fujipan.co.jp/hagukumu/minwa/. The students are put into small groups to point out the differences in pronunciation (and vocabulary, grammar). The instructor explains the features or has students compare dialogs in standard Japanese and Kansai Japanese. For instructors proficient in the Kansai dialect, they could create entire activities/lessons in a communicative framework, using the drawings and exercises from a textbook lesson for standard Japanese replaced with the Kansai dialect. For example, the lessons on shinakya 'have to do' in standard Japanese could be easily modified for sena akan 'have to do' in the Kansai dialect. For the folktales, the instructor could have the students listen to the folktale and then, orally recreate the story they heard in standard Japanese. Students could point out the differences they noticed with the instructor adding explanations. The instructor creates sets of cards with the pictures of pitch-accent minimal pairs (to wear/to cut, rain/candy, etc. ), as shown in the illustration below. Several small groups receive one set and pass out all the cards to the members of that group. Each student must in turn select another student and ask them if they have the matching card: If one student has the ‘rain’ card (ame), then they need to ask another student for another ‘rain’ card. They could use the grammar point x ga arimasu ka 'Do you have x?' to ask for the card they want. The other student would answer hai, arimasu. hai, doozo 'Yes, I have (it). Here you go.' if they have the ‘rain’ card or iie, arimasen 'No, I do not have (it).' Minimal pairs differing by vowel/consonant length or words with problematic segmentals could be included. - Where does this pitch fall on [ba.na.na]? Students answer questions that involve numbers of items: What time is it? What floor is it on? How many X? Students learn 1) the counters for objects, 2) the two-tiered Sino-Japanese (漢語)/ native Japanese (和語) base numbers (e.g., ichi, ni, san, etc., vs hito-tsu, futa-tsu, mit-tsu, etc.) and 3) the pronunciation in terms of both changes in segments and pitch accent. For pitch accent, students can describe what floor (何階) [na.n.ka.i] and how many times (何回) [na.n.ka.i] where forms such as the following would be used: [yo.n.ka.i] LHHH ‘fourth floor’ and HLLL ‘four times’ or [na.na.ka.i] LHHH ‘seventh floor’ and LHLL ‘seven times’ or how many times (度) and what the temperature is (度) where [ni.do] and [go.do] mean two times or five times if LH and two degrees of five degrees if HL, respectively. For the two-tiered number system, there are many common counters that could be used within lessons on counters or other aspects of the Japanese language, e.g., 1杯 [i.p.pa.i] HLLL ‘one cup,’ 一か月 [i.k.ka.ge.tsu] LHHLL ‘one month,’ 1キロ [i.chi.ki.ro] LHLL ‘one kilo,’ 一皿 [hi.to.sa.ra] LHLL ‘one plate,’ etc. These are taught in most JFL courses and so, just tweaking the lessons a bit such as warning the students about the pronunciation or using minimal stress pairs would make learners more aware of pitch accent and other common pronunciation changes. Indeed, one of the authors of this paper experienced a Japanese instructor playing an “ESP game” with beginning learners where he had them guess how many bottles (of coke) there were. He would cue the answer by asking 何本? [na.m.bo.n] ‘how many (bottles)?’ but with different pronunciations of the counter (although in fact only [na.n.bo.n] is correct): [na.m.bo.n] or [na.m.po.n] or [na.n.ho.n] ‘how many’ (bottles) where the expected answer would respectively have to be [sa.m.bo.n] ‘three bottles’ or [i.p.po.n] ‘one bottle’ or [ni.ho.n] ‘two bottles’ to match the pronunciation of the counter. Interestingly, most of the learners did not pick up on the difference between the three pronunciations of the counter. Topic: Describing habits, activities, etc. The instructor can ask students questions using different verb forms, allowing learners to practice the shift in pitch accent patterns accompany each verb form. Depending on the lesson, the instructor can introduce new verb forms or review old forms or mix up all the verb forms when asking questions, e.g., –masu form, humble/honorific forms, past tense, nonpast tense, etc. The instructor can ask what a student or someone else did on the weekend/last night/last summer/etc. and then, what they or someone else does every weekend/every night/every summer/etc. This practice can be embedded in lessons on pragmatics, e.g., styleshifting. Activity: Noticing differences in words, conjugations, etc. The instructor introduces words, phrases, sentences, etc. such as the examples below to learners written in only hiragana. The instructor could read the two possible interpretations and have the learners guess the meaning by writing it on the board or explaining in other words. Or the instructor could write both interpretations on the board with the kanji etc. and again, read one of the two interpretations and have the learners match it to the correct answer. Or the learners could read the words, phrases, sentences, etc. in hiragana and then, interpret and read them aloud for the teacher to check. 5. ねえちゃんとふろはいった? [ne.e.cha.n.to.fu.ro.ha.i.t.ta] ねえ、ちゃんと風呂入った? vs 姉ちゃんと風呂入った? Activity: Practicing listening to extended speech using what has been learned. Students listen to extended speech, e.g., dialogs, stories, etc. (analogous to extensive reading). The content should consist of common core grammar, vocabulary, etc. that have been studied before. Learners should be required to listen to different listening samples for at least 5-10 minutes several times a week. The instructor can experiment with length, content, etc. and adjust it to the needs of students. Students need merely to record what exercises they listened to, when, for how long, how many times, etc. They should also record their impression of the listening in terms of how well they think they understood, ease of understanding, enjoyment, etc. This assignment should be evaluated in terms of whether the listening was done and the impressions, but not necessarily graded by asking questions on comprehension to allow students to relax and enjoy listening to Japanese. This activity is used to offer more opportunities to students to listen to Japanese outside of the course and encourage them to listen more and thereby, improve their listening. Students read along silently with an audio book or reading passage. The instructor has students mark a transcript for thought groups (where they should pause), fall in pitch, pitch patterns, etc. The students shadow along with the audio or instructor. Students also read the book or passages out loud. Students record themselves and self-evaluate their recording and/or receive feedback from the instructor. Instructor shows students a powerpoint or gives students a handout of a list of words, conjugations of verbs, etc., showing pitch accent patterns from the NHK accent dictionary or OJAD website. Students try to use the materials to pronounce the words correctly. OJAD includes pitch accent patterns for many words used in JFL textbooks such as Genki (Banno et al., 2011), presenting possibilities for simple pitch accent activities, i.e., noticing, marking, etc., but instructor must keep in mind that pitch accent is dynamic and not static.